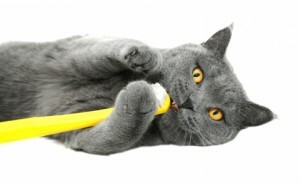 You should never overlook your cat’s dental health. #1. Bacteria from the mouth can travel throughout the body. The bacteria under your cat’s gums that caused their dental disease can actually travel throughout the rest of his or her body. This could lead to life-threatening infections in the bloodstream, lungs and bones. #2. Dental disease can lead to complications in your cat’s existing issues. One of the most common examples of the types of issues that become more complicated with dental disease is diabetes. If your cat suffers from chronic oral infections, it can make it much more difficult to control his or her blood sugar levels. #3. Dental disease can cause other health issues. Research has proven that dental disease can lead to a variety of other health issues, including arthritis, kidney disease, diabetes, heart and lung infections, some autoimmune diseases, cancer or even heart failure. As you can see, dental disease is a very real problem for cats, and the only way to prevent it is to properly take care of your cat’s teeth. If your cat is due for a dental cleaning, contact Sun Valley Animal Center to schedule your appointment!